The advocates of zero-waste and sustainable living face a tough call: convince people to step outside of their comfort zones. Why bring a reusable straw when plastic ones are offered for free at restaurants or buy tumblers when plastic bottles are available everywhere? The challenge becomes tougher when everyday life seems the same and unaffected by environmental threats. In any advocacy, fortunately, there are a few but passionate players who do not shy away from a tall order. Whether you’re a consumer or a retailer, here are seven local shops you can check out that are hoping to make the world a little more sustainable, one product at a time. 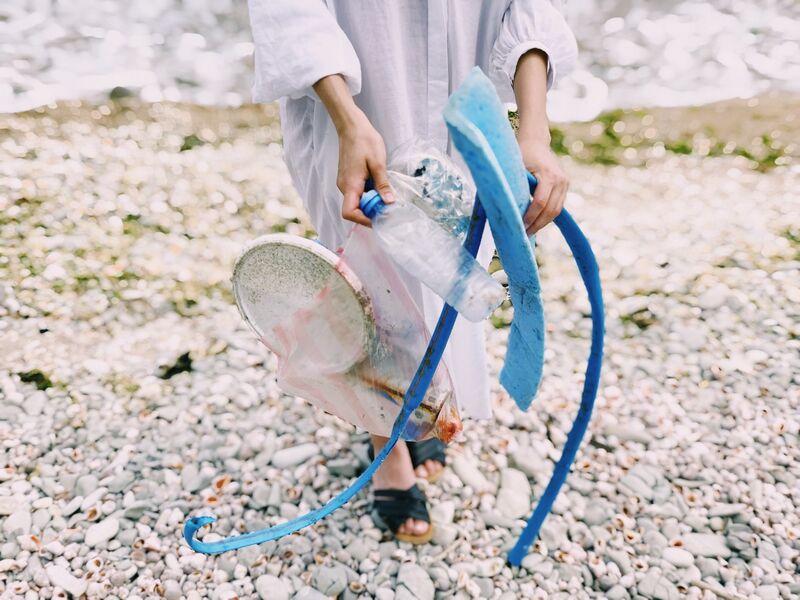 The first step to a zero-waste life is to identify daily waste; second is to reduce that. Paralúman is a one-stop shop for almost anything sustainable from stainless straws to cutlery sets, shampoo bars to castile soaps, and bamboo toothbrushes to cotton string bags. It observes a no-plastic shipping method and some items are sold in limited pieces to avoid hoarding and reselling at unfair prices. Biodegradable, self-regenerating, and pesticide-free—kawayan or bamboo is no doubt a great alternative for plastic. The material has been popularly used for reusable items including drink tumblers. If you’re on the lookout for one, KawayanMNL offers stylishly sleek tumblers namely Jose and Maria: 400 ml double-wall refillables that can hold hot and cold drinks for hours. Style meets advocacy in this social and cultural enterprise aimed to preserve local weaves and help sustain livelihood at the same time. Upcycled and limited, Anthill Fabric Gallery’s pieces are especially weaved for the socially responsible, eco-conscious, chic trendsetter. Aside from weaving their own cloth, the initiative sources and collects scrap fabric from corporate partners, individuals, and commercial sources. Their weavers earn double the minimum wage and 10 per cent of each weaver’s income goes to a compulsory savings program. Sip PH aims to encourage individuals to become more responsible and conscious of the waste they produce. Their product list consists of stainless steel straws and bamboo cutlery packaged in canvas pouches. The sales pitch: ditching single-use straws is one small, significant step in starting a zero-waste lifestyle. In the heart of Makati, since 2010, lies this general store for locally produced, eco-friendly, organic products that operate on a hundred percent plastic-free and sustainable basis. The idea is to ‘support local’ while reducing plastic waste by selling only local products in the store and requiring customers to bring their own containers when they come in to buy. Their products range from food to drinks to personal hygiene and home cleaning items. All natural, vegan, biodegradable and cruelty free, Kahilom’s products take you a step closer to mindful living. The brand sells beeswax wraps, travel containers, healing balms, essential oils, and cleansing bars among others. Products are sold in small batches and packaged in refillable containers. They aim to not only provide full nourishment but also to cultivate an appreciation for Mother Earth. Coming all the way from Australia, Frank Green envisions a greener and cleaner Philippines. Therefore, they have adapted their brand to fit the Filipino market. Irresistibly cute, their vibrantly coloured cups look like mini-pods and will serve as a nice conversation piece whenever someone passes by your office desk or at the gym in between exhausting workout sets.